The benefits, effects, and impact of meditative practices at the personal level and on humanity as a whole is one of the great fields of research that science is just beginning to un-tap. Understanding the effects of meditation and yogic practices on the evolution of human consciousness has the potential to answer profound questions regarding human potential, unlock humanity’s role in the universe, and provide solutions for the current problems facing humanity and the earth. The mission of Heartfulness Institute Research Initiative is to support and facilitate a scientific approach toward contemplative practices and advance our understanding of meditation and consciousness. The Institute invites grant applications for meditation research from individuals who will conduct independent, empirical, rigorous research. Grant applications will range from $5,000 up to a maximum of $100,000 on a non-renewable basis. Heartfulness Institute teaches meditation and contemplative practices. Heartfulness Research funding is intended to provide resources to support foundational experiments on Heartfulness practices. 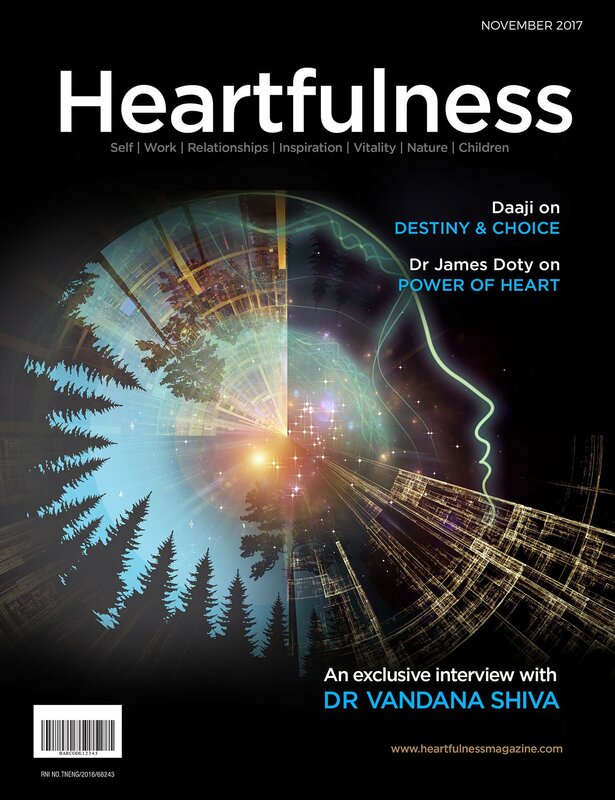 These include, but are not limited to, studies investigating behavioral, physiological, metabolic, epigenetic and neurobiological responses to the practice of Heartfulness meditation, through cross-sectional and longitudinal studies on Heartfulness practitioners compared with appropriate control subjects. We encourage applications from researchers in other contemplative practices who are interested in applying their expertise to study Heartfulness meditation. Applicants must hold a PhD, MD or equivalent degree and have an official affiliation with a college, university, institute, medical school or other research facility. Biosketches/CVs of the principal investigator and collaborators, research project description, including specific aims and hypotheses to be tested, experimental design, method of analysis of the data, and the significance and potential impact of the study. Preliminary data may be included if available, including data related to other meditation practices. Resources available, budget and justification. We will accept applications for 2017-2018 on a rolling basis. Criteria for evaluation include significance, relevance and impact of the proposed study, applicant’s research experience, and appropriateness of budget. Effect of Heartfulness Meditation on burnout, emotional wellness, and telomere length in healthcare professionals.